If you can close your eyes and just imagine your landscape by adding a Redwood Garden Curved Rail bridge to your heaven. 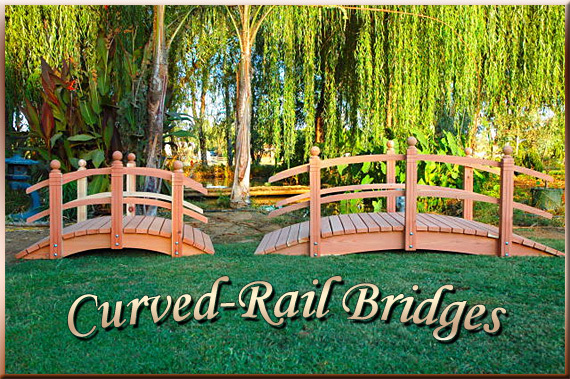 This curved rail bridge is hand-built with hand-selected California redwood.hand-built with hand-selected California redwood. The wood and galvanized hardware will provide structure and stability despite being exposed to outdoor elements. 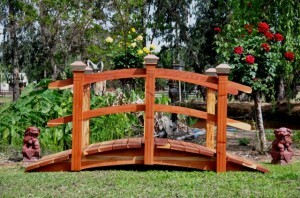 A Redwood Garden Bridge would look great in any garden surrounded by some garden gnomes, statues or garden beds. This bridge is completely fish safe. 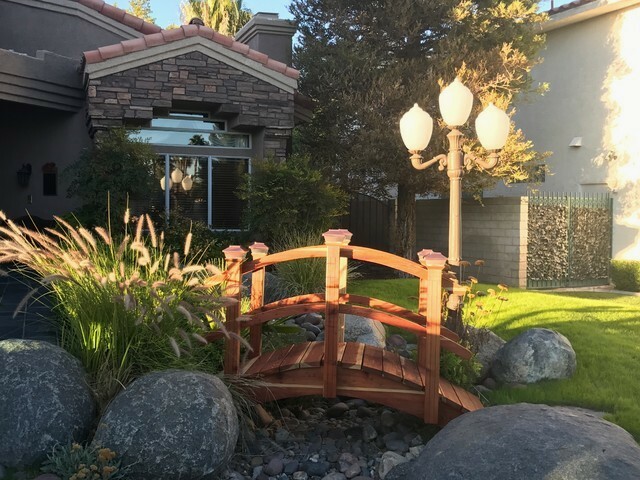 Redwood Bridges does not use pressure-treated wood in construction, which makes this redwood bridge perfect for Koi ponds or any of your landscaping needs. Because this wooden garden bridge has been pre-assembled, and sanded, assembly is quick and easy and can be done in as little as 60 minutes. The only tools needed to assemble your bridge are a crescent wrench and a power screw driver. The instructions are simple and won't require much time to reassemble you bridge.You can choose from several bridge size options to suit landscaping needs. To help you with all the options, we have packed this site with information about the materials, designs, sizes, costs, and shipping of our easy-to-assemble Bridges. 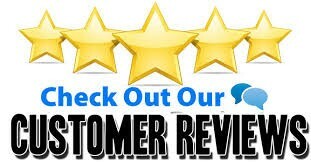 If you have any questions or a Custom Quote, you can contact our design consultant professional by calling and talk to Designer Builder Joe.